Who is Your Favorite Super Hero or Villian? 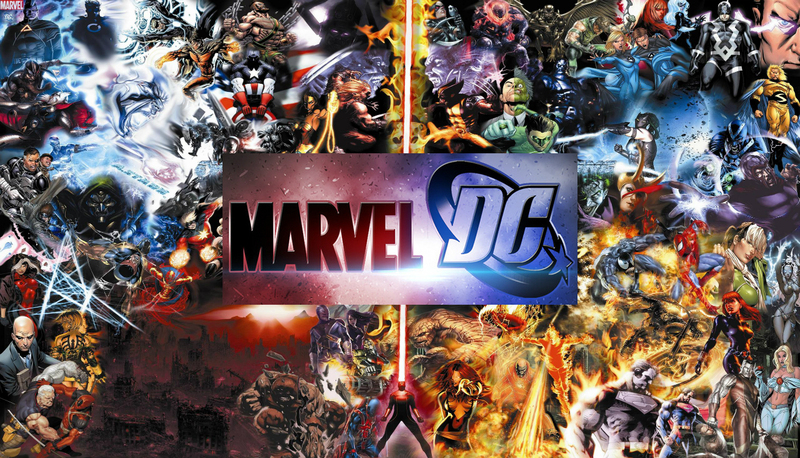 A long lived rivalry,Marvel Vs. DC.Some people say Marvel is better, some people say DC is better,and some people say they are both the same,but one things for sure they both have amazing heroes and villains. As you know super heroes are more popular such as Spiderman,Batman,Superman,or Ironman. My opinion is that the one thing villains want to do in all movies both Marvel and DC is they want to take over the city, the country, or most times the world.But their plans never succeed. Not one movie has a villain defeated a hero, I mean why is that. Anyways, lets see what peoples favorite Superheroes or villains are. Based on the survey I did across school the most popular super hero was Batman and villain of course THE JOKER. Across the world most people said this was their most favorite rivalry in both alternate universes (Marvel and DC).The top five after Batman and Joker were (for Superheroes) Superman, Spiderman, Ironman,Thor, and the Wolverine.For villains were Loki,Magneto, Darkseid, Venom, and Harley Quinn. That’s what Canyon Vista’s student picked as their favorite heroes and villains!